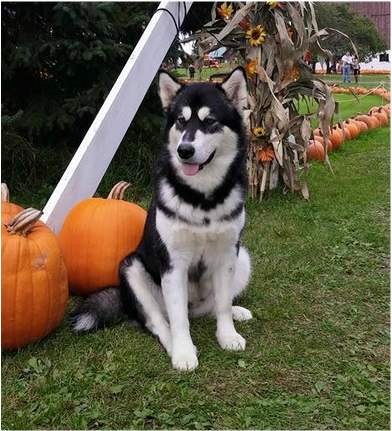 Kiss is from our ﻿﻿﻿Karma's﻿﻿﻿ second litter and her daddy Bodhi's first litter. 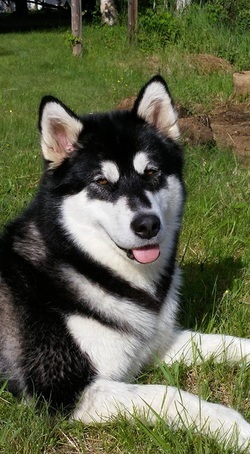 She is a litter sister to our Chase and Chance. 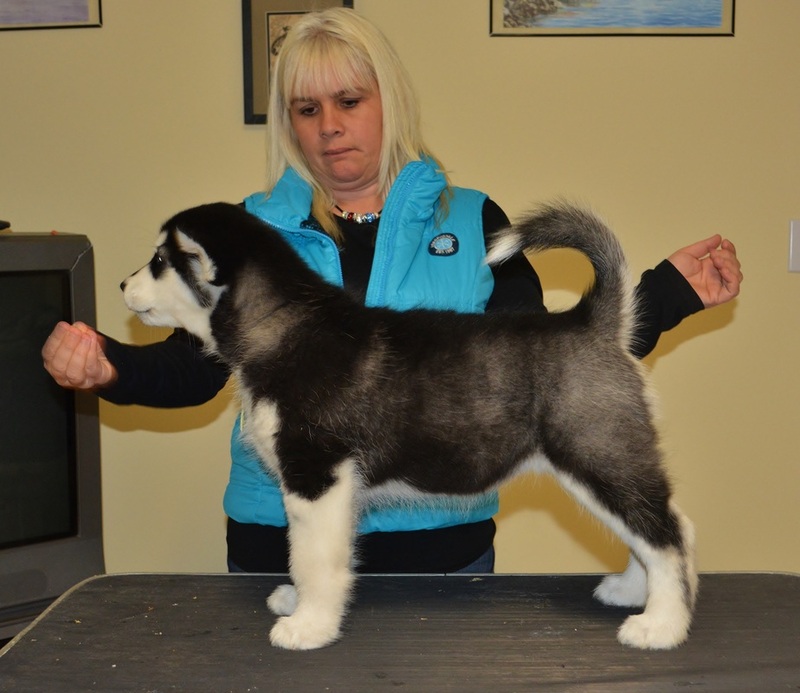 We are thrilled to have the opportunity to share and co-own this special girl with our dear friend Tawny Roblin at Polar Breeze Alaskan Malamutes! 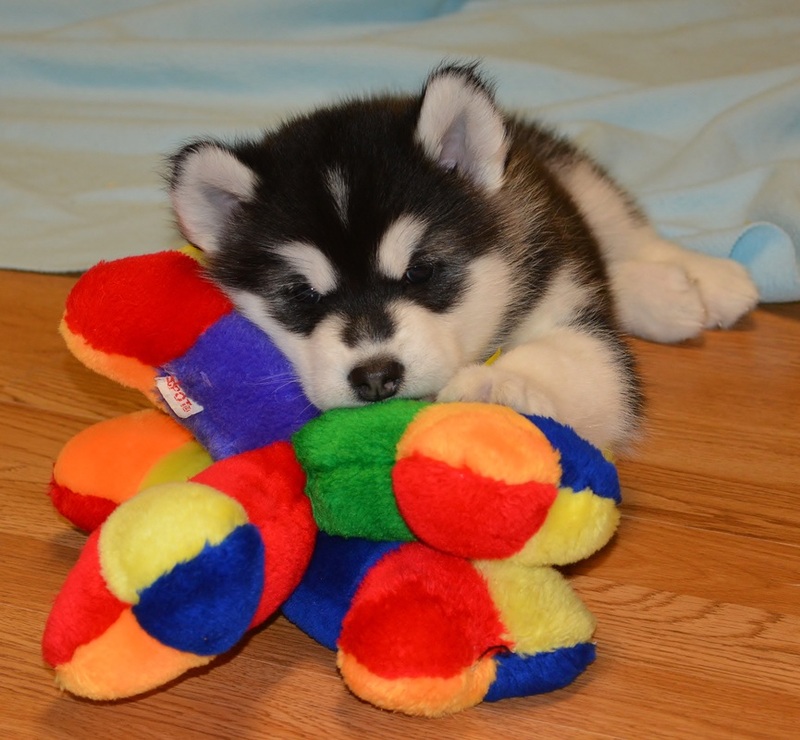 Kiss was the love-bug in the litter. A very proper little girl who always took time to give a kiss! 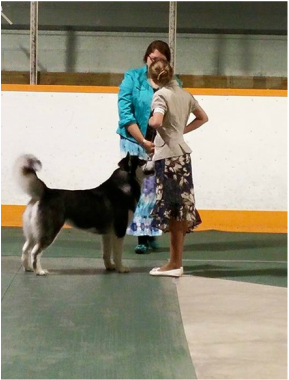 Kiss followed in the family footsteps by taking the Canadian show ring by storm, easily finishing her Canadian Championship from the puppy classes! 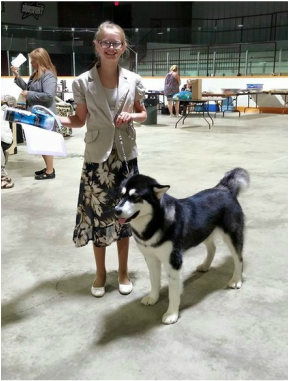 She made her American ring debut in January 2015 and at just 16 months old beat tough adult competition to pick up her first major (5 points!) and followed that up with a Reserve win to the major the next day! 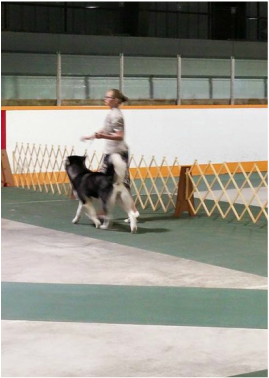 Kiss also entered the Juniors ring in Canada with her young handler Meagan. 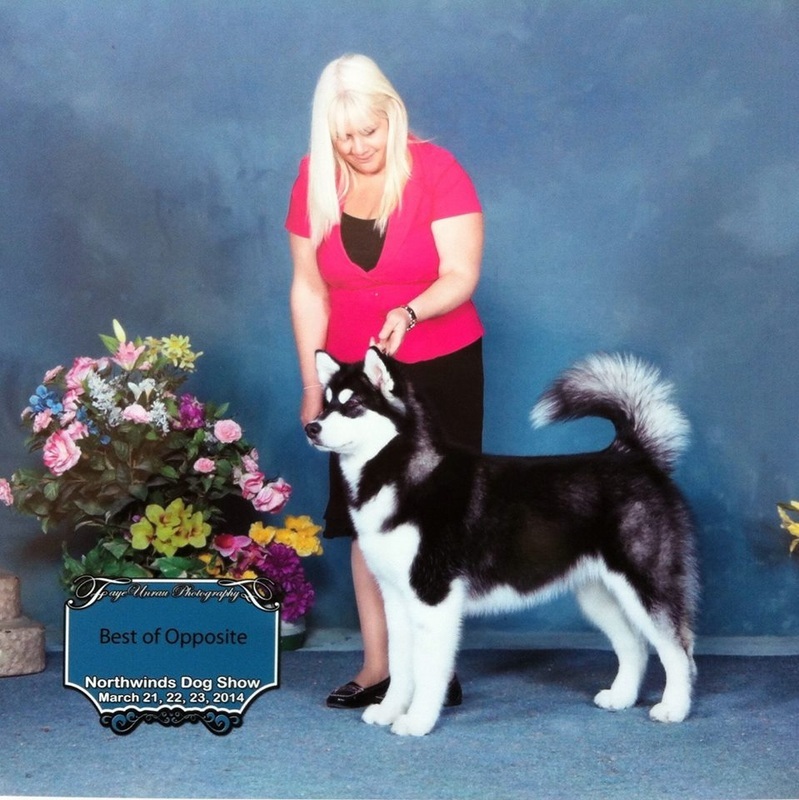 This new team won their class at their first show and earned Best Overall the very next day! 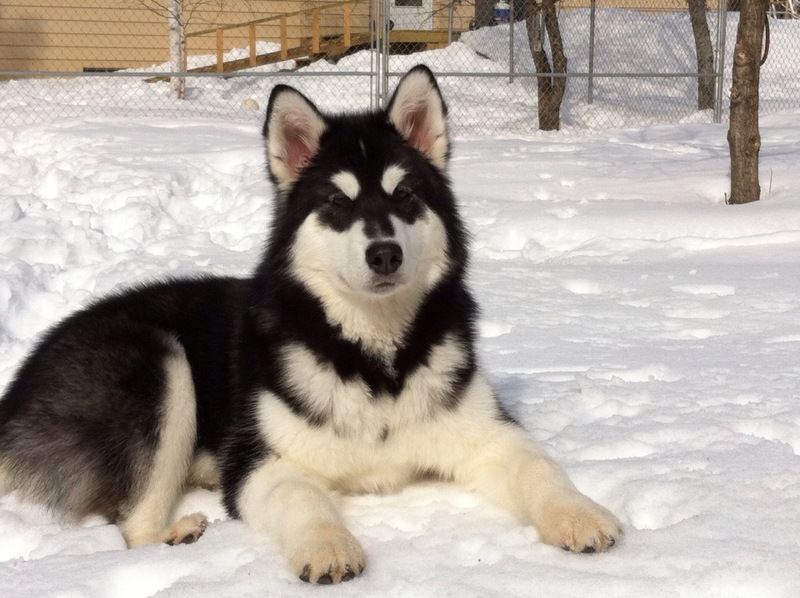 Show dog, companion, couch potato, you name it and this girl is game for it! Kiss' first official table stack! Momma Tawny and baby Kiss share a moment.